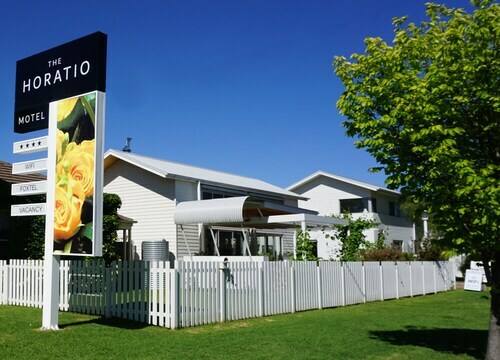 Located in Central Mudgee, this motel is 0.7 mi (1.1 km) from Glen Willow Stadium and within 3 mi (5 km) of Blue Wren Winery and Flirtation Hill Lookout. West End Sporting Complex and Mudgee Golf Course are also within 3 mi (5 km). 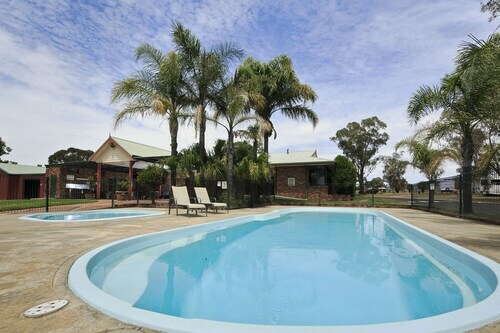 Located in Central Mudgee, this motel is 1.4 mi (2.2 km) from Mudgee Golf Course and within 6 mi (10 km) of Farmer's Daughter and Huntington Estate. 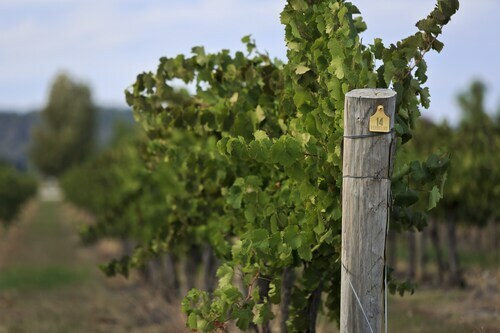 Lowe's Mudgee Vineyards and Louee Enduro and Motorcross Complex are also within 20 mi (32 km). 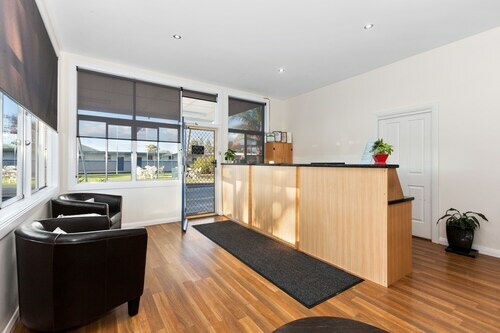 Located in Central Mudgee, this apartment building is within 1 mi (2 km) of Flirtation Hill Lookout, Glen Willow Stadium, and Mudgee Golf Course. West End Sporting Complex and Mudgee Honey Haven are also within 3 mi (5 km). 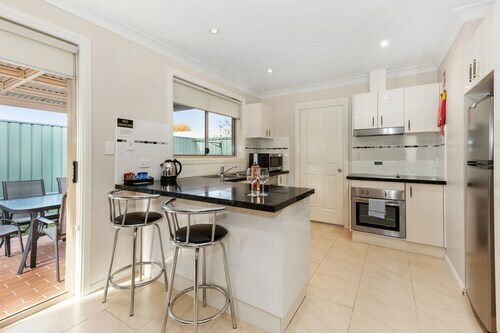 Located in Central Mudgee, this apartment building is within 1 mi (2 km) of Flirtation Hill Lookout and Mudgee Golf Course. Glen Willow Stadium and West End Sporting Complex are also within 2 mi (3 km). 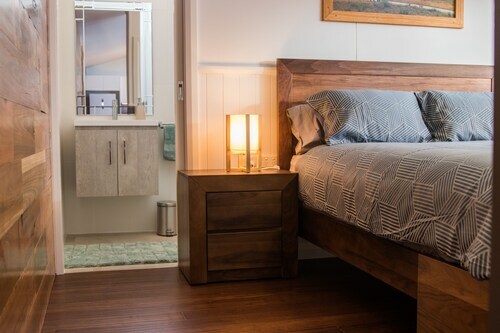 Located in Central Mudgee, this motel is within 1 mi (2 km) of Glen Willow Stadium, Flirtation Hill Lookout, and West End Sporting Complex. Mudgee Golf Course and Mudgee Honey Haven are also within 3 mi (5 km). 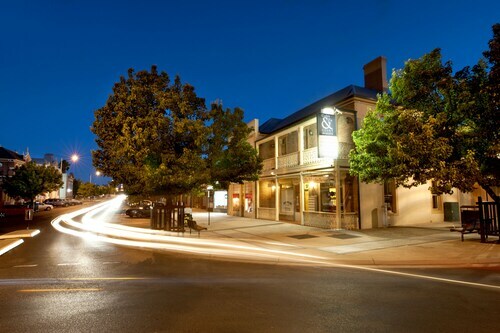 Spend a few minutes checking out the range of available hotels in Central Mudgee. Fortunately, there are 16 within 5 kilometres of the city centre. 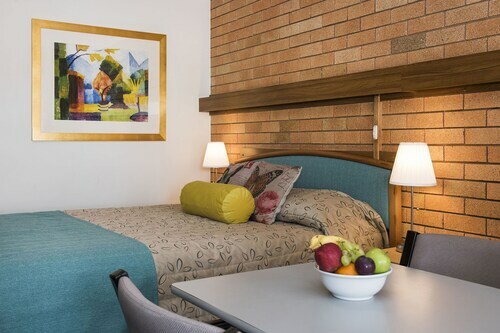 The Perry Street Hotel - A Fox and Co Hotel and Best Western Wanderlight M/inn are just a few of several excellent accommodation options that are near all the main areas. Aim for par as you stay well away from the sand traps at Mudgee Golf Course. If you want to see this attraction and would like to stay close by, take a look at Comfort Inn Aden Hotel Mudgee and Ningana Motel. Take a hike in Mother Nature's playground with an excursion to The Drip Gorge. Rest your head at Soldiers Motel and Cobb & Co Court Boutique Hotel and you can visit this site as often as you'd like. 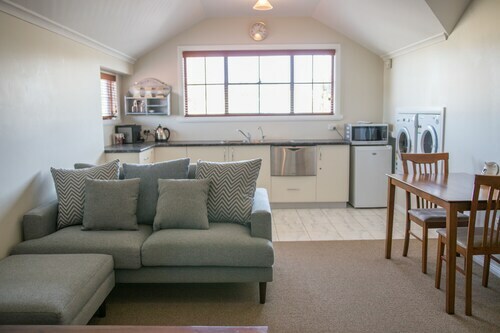 For some alternatives, checkout the Mudgee's Getaway Cottages and the Colonial Court Villas. They are located 3 kilometres and 2 kilometres respectively from the center. Further alternatives are the Evanslea Bed and Breakfast, 2 kilometres away, and the Mudgee Homestead Guesthouse, 9 kilometres. If you'd like to experience some close by cities, think about Eurunderee and Budgee Budgee. Travel 10 kilometres to the north of Central Mudgee and you'll find Eurunderee. That said, Budgee Budgee is 13 kilometres to the northeast. 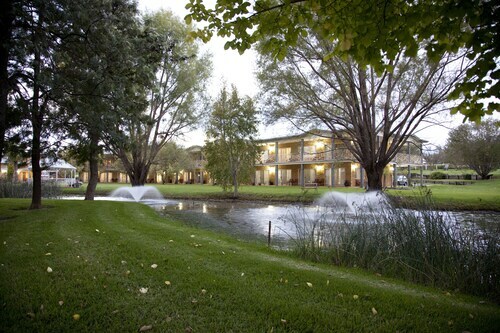 Eurunderee hotels and apartments include the Farmer's Daughter Wines and Wildwood Guesthouse. The Rosby Guesthouse and Ilkley Cottages are some of the choices in Budgee Budgee. Crazy about sport? Enjoy your obsession by visiting West End Sporting Complex, which can be found to the north of Central Mudgee. 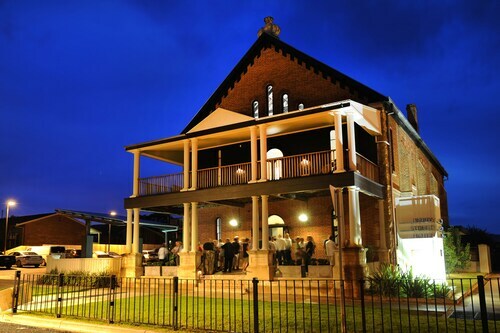 Book a hotel close to the action at the Winning Post Motor Inn Mudgee or the Mudgee Bed And Breakfast. Mudgee Airport a practical gateway to Central Mudgee. 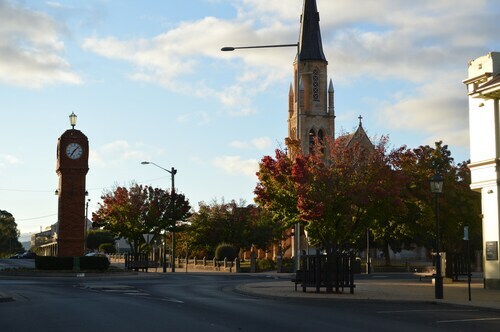 Nearby hotels include the Horatio Motel and the Active Holidays Mudgee Valley. How Much is a Hotel Room in Central Mudgee? 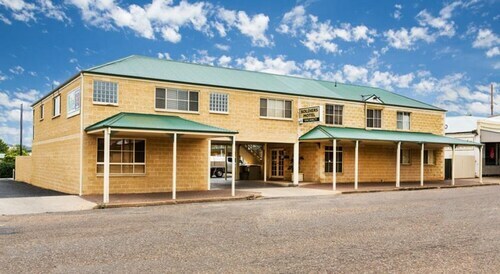 Hotels in Central Mudgee start at AU$86 per night. Prices and availability subject to change. Additional terms may apply. Property was just what I like in Mudgee. Expectations were met. It is a lovely place to stay where you can just relax, have breakfast, lunch and dinner when ever you feel like rustling up a meal or go out. You can enjoy sitting outside or watch TV, go for a walk into town, hop in the car and go for a country drive.